Basically, we got the new Roku all connected. We fired it up and started the setup process. The Roku recognized her Wi-Fi, and once we put the password in, it was able to connect to the local network. However, when it tried to connect to the Internet (essentially the outside world), the process failed. Red light! I’ve set up three Rokus in three different houses. I’ve never encountered this problem before. My immediate suspicion was that my friend’s router was somehow denying Roku’s connection to the Internet. Before taking the plunge into full-on troubleshooting, I wanted to make sure that Cox hadn’t set up the router, or her service, in a way that might prevent the use of a streaming player. So we called Cox. 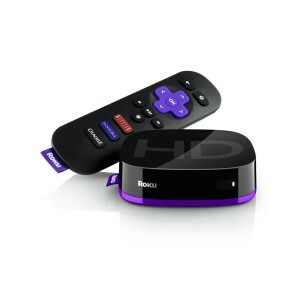 After about 45 minutes with the rep, who was really nice by the way, the Roku was still FUBAR. However, right after hanging up with Cox I stumbled across what turned out to be the root cause of the problem. Login to your router. (typically this is done through an internal ip address like 192.168.1.100). You enter this IP address directly into your web browser same as you would a website. **NOTE some people actually enter web addresses into Google, and then navigate that way. This won’t work. Enter the IP address directly into the browser’s Location or Navigation bar at the top. This will take you to your router’s login screen. *NOTE sometimes the router’s default password is “password”. But it’s possible that your password was changed during installation. If you don’t have your router’s password, contact your Internet provider. Replace the internal DNS address with a public DNS address. What worked for us was using Google’s public DNS. So set DNS1 to 8.8.8.8 and DNS2 to 8.8.4.4 . Run the Roku setup again. If you still aren’t able to connect to the Internet, then bounce (unplug) the router. Leave it unplugged for 15 seconds. Then power it back up. Try again with the Roku. If that doesn’t work, bounce the Roku. Leave it unplugged for 15 seconds, plug the power back in. The 15-second rule with computers and hardware is surprisingly effective. If you’ve set the DNS properly, your Roku should now (finally) connect to the Internet. When this happens, it will complete its setup process and you should be good to go.